it is tasty and you must try it once. 2 tbsp pav bhaji masala. 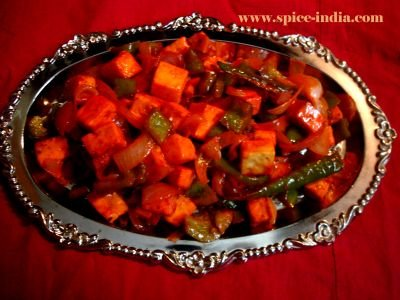 Marinate paneer with tandoori masala, pav bhaji masala, cream, garlic paste, salt and lemon for 1 hour. Roast it in microwave for 5-10 minutes. areen i am just using the readymade everest masala,so that would be nice!thanks. It would be very kind if you can post the ingredients of Tandori and pav bhaji masala. Thnak you.